﻿ The book of wishes on a wedding: how to issue (photo). 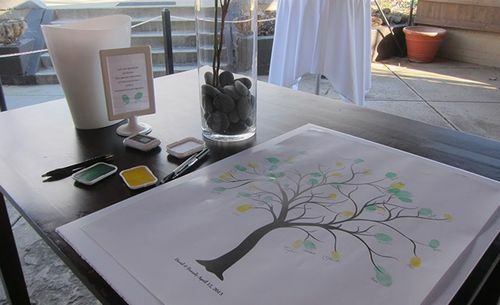 A beautiful tree of wishes for a wedding. Today the wedding is not one day from history of lovers, and the whole separate love story. 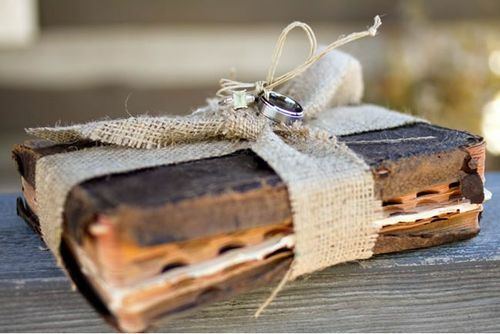 And except flowers, household items and other gifts it is accepted to give the wedding book of wishes in which each guest will be able to write the congratulation or a wish on a wedding (if you have no ideas, glance in our thematic review). 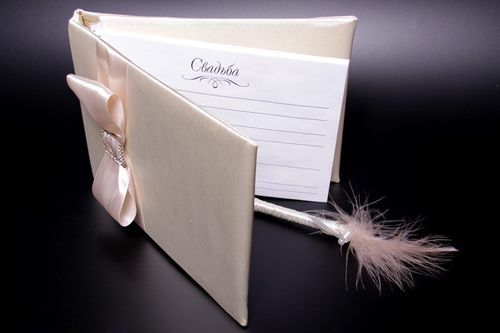 Whether you give the wedding book of wishes to friends newlyweds, or give such book to you, or perhaps you prepare a surprise for guests – always there is a wish to give this gift to the special. 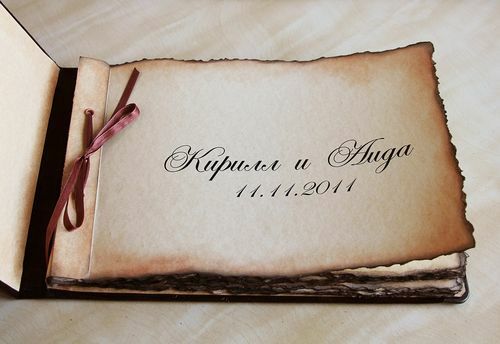 We represent some ideas on registration of the wedding book of wishes the hands. If you do not own scrapbooking art, it is possible to get the simple book or an album for wishes with a minimum of details of registration, and to decorate them on the taste. The firm cardboard folder for papers which should be filled with the necessary number of dense sheets will become good option. For example, the cover of the book can be not only cardboard, but also fabric. Felt, jeans, skin – before fitting the book independently, take an interest in tastes of lovers. If you prepare the book not as a gift, and for guests on an own wedding – its design has to correspond to the general style of a celebration. 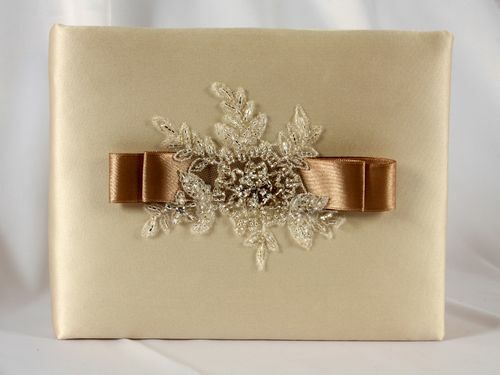 Satin bows or simply accurately pasted tapes together with beaded applications will make magnificent composition, worthy to decorate the most original wedding book of wishes. Besides the atlas it is possible to use other gentle or original fabrics of wedding subject – silk, brocade, organza, chiffon, and even got stronger. Pearls or feathers will become excellent addition to such fabric – it is possible to decorate with them not only the book of wishes, but also the handle. One of the main attributes of a wedding are wedding rings. 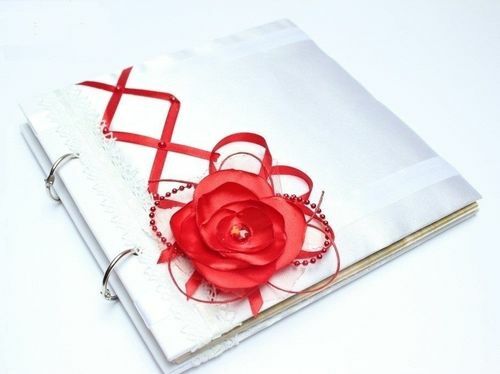 They can also become a highlight in registration of the book of wishes on a wedding the hands. To emphasize tenderness of feelings of the bride and groom, the book can be decorated petals of roses or small with flowers. The original wedding has to have and the unusual book of wishes. 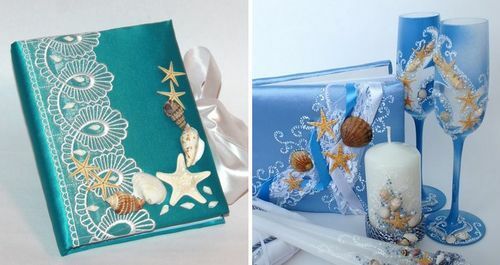 You can issue it in sea style if your wedding takes place on the seashore, or to make a retroalbum. 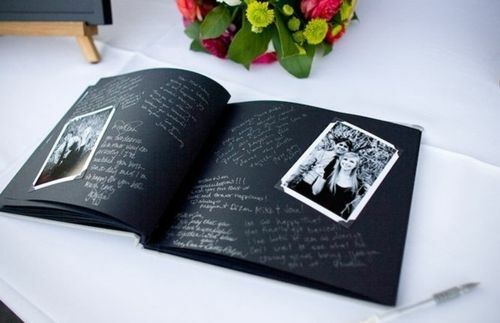 One more unusual idea of registration of the wedding book of wishes the hands – black paper and the special white handle. Such book will become unforgettable and very bright addition of a wedding. Paste the photo of a loving couple on each leaf – and your guests will not be able to refrain from writing of emotional wishes! Tree of wishes on a wedding it is fashionable and original. And simply to issue a wedding tree the hands. It can be a volume sculpture, drawn on a big canvas with gouache, consist of a framework for photos with the attached wishes – your imagination will prompt what will be a masterpiece. 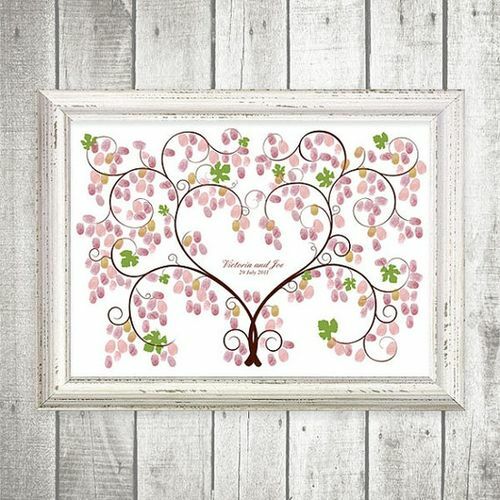 If you do not want to spend time for production of a tree from the very beginning, you can get it in gift or wedding shop, and add with desirable details. 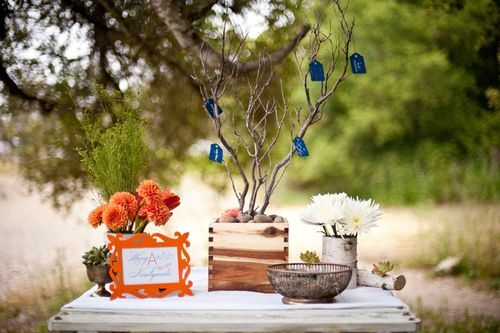 Besides, as a basis the dry branch of a durable tree can be used – instead of leaves guests attach on the pleasant branch leaflets with the wishes and congratulations. 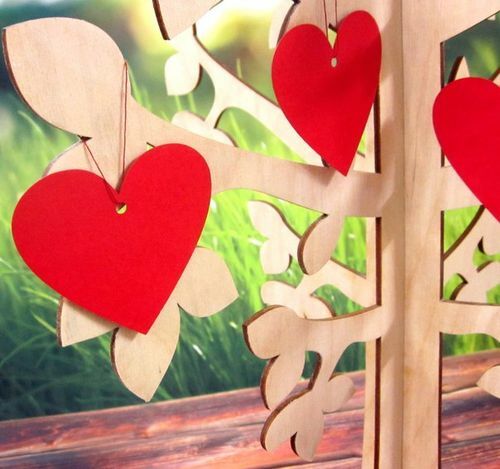 Such tree very romantically, especially looks if paper for wishes is cut out in the form of hearts. The size of a tree depends only on your imagination – it can be small to be located on a wedding table, or huge, decorating the hall in your new house. 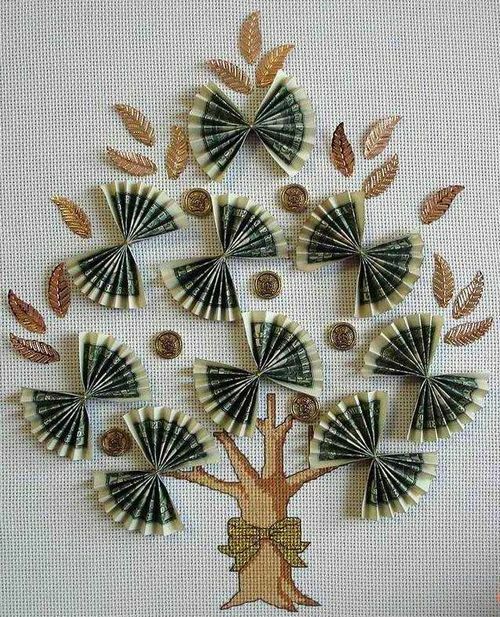 The tree embroidered on an outline will be one of the most creative options. Guests write the wishes on notes, and attach them to a cloth – on a belief, in a new family always there will be a prosperity. 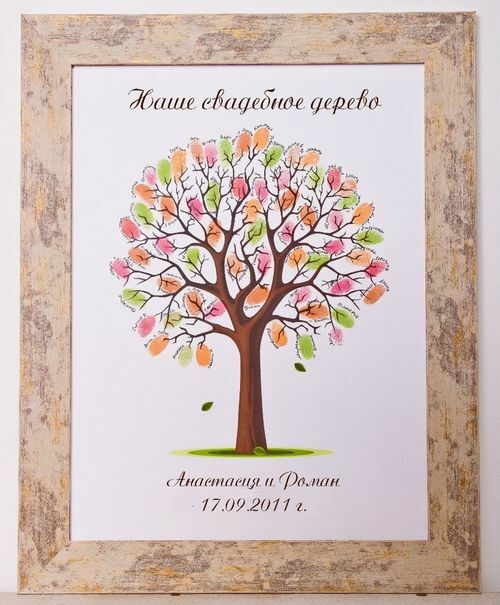 For decoration of this wedding tree it is possible to use coins and gold products also. When wedding toasts are said, in memory there will be only fragments of the most interesting congratulations. And that newlyweds had opportunity daily to read pleasant words in the address, it is worth taking care of creation of a cloth with fingerprints of the guests located in the form of leaves on branches of the drawn wedding tree. On each print it is necessary to leave a short wish, it can consist of only one-two words, for example: love, enviable prosperity, obedient son, cosiness and so on. Here such nice wedding tree with wishes will turn out. It can be placed in a frame, and to decorate a drawing room. The wedding tree of wishes can be decorated not only leaves with congratulations, but also is added with pearls, satin bows, and even is dressed up in the bride's veil. 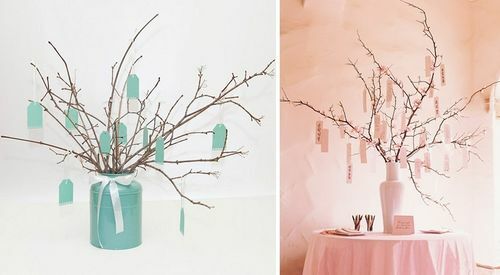 Besides, you can make two festive trees – one for the groom's friends (it is possible in blue color by tradition), the second (for example, in pink color) – for the bride's girlfriends. On such trees of lovers can leave congratulations each other. As you can see, to make the book or a tree of wishes on a wedding, it is optional to you to have big talents. For this purpose only paper, paints, fabrics, pearls and other desirable details from which the real unique masterpiece will be created will be necessary. And if you were invited as the guest for anniversary, you can learn one of the friends offered by us a wedding toast on anniversary of a wedding.